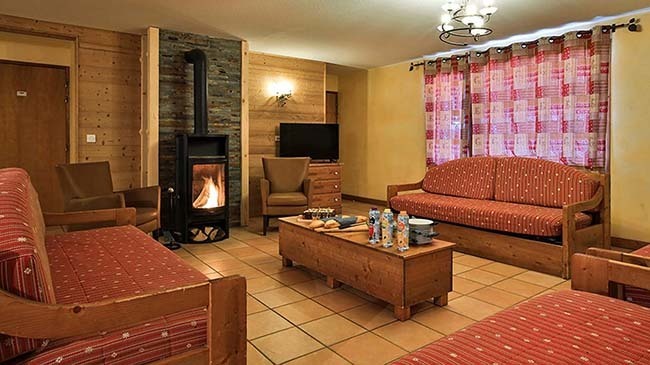 This is a popular chalet, and no wonder - it offers door step skiing, a lovely wood burning stove, some great leisure facilities and more. 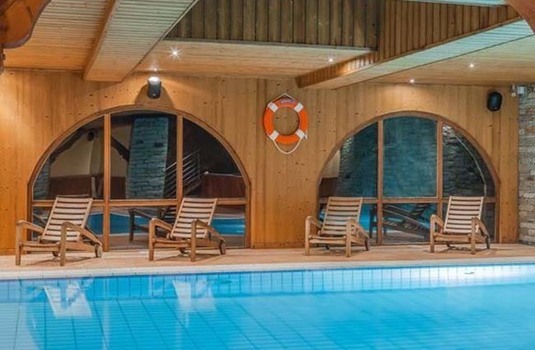 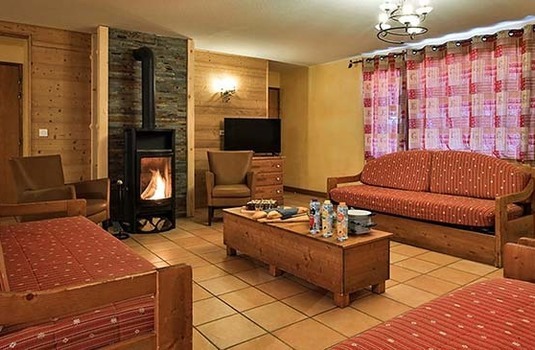 Chalet Clarine is a ski-in ski-out apartment in a collective of chalets located in a convenient location, right on the piste in the Balcons de Belle Plagne complex. 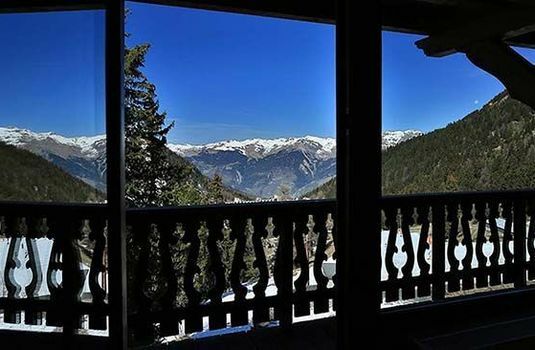 This chalet apartment is located in the same building as Chanterelle, Morille and Girolle which is very popular due to its convenient location. 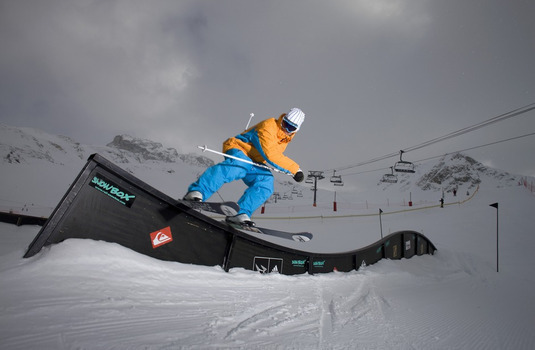 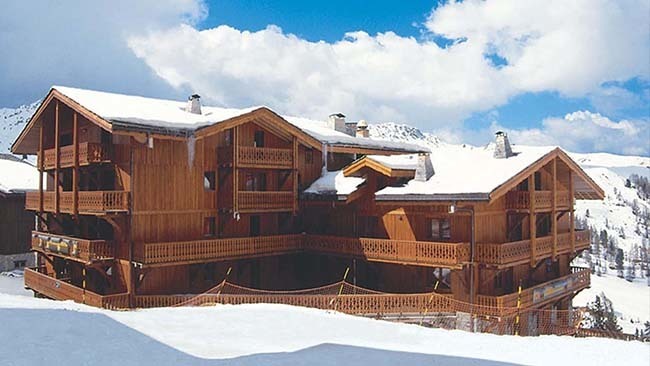 All chalets are situated right on the piste in the Balcons de Belle Plagne complex making access to the skiing extremely easy. 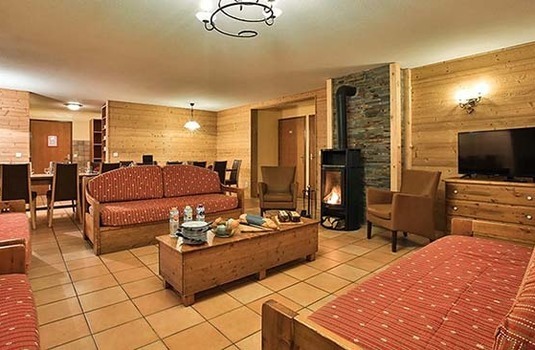 The perfect choice for ski-in ski-out convenience. 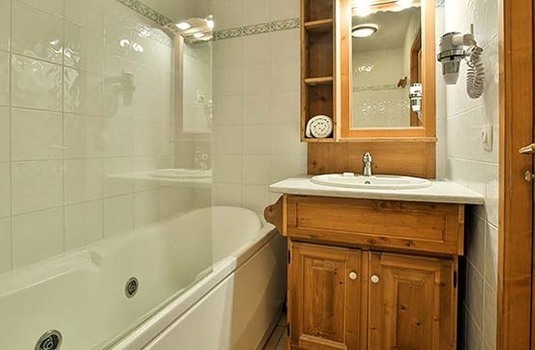 The great advantage of this chalet apartment (aside from its ski-in/out location) is that whilst it is simply furnished, all rooms enjoy en suite facilities with their own Jacuzzi bath. 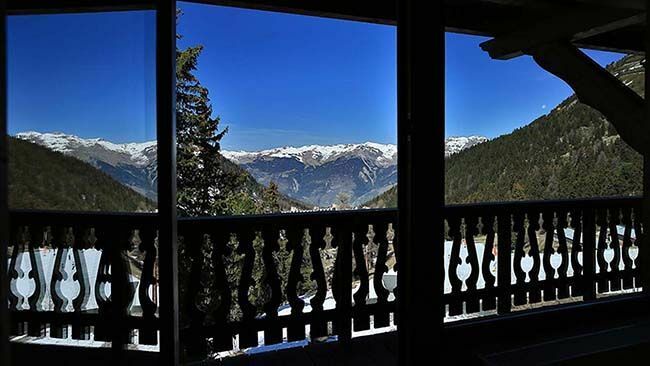 Most rooms also benefit from their own balcony. 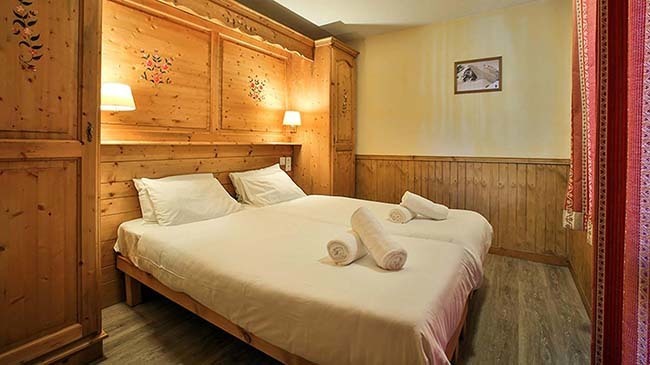 Chalet Clarine has a fresh, alpine style of decor and effectively uses exposed wood to create a quintessential chalet atmosphere. 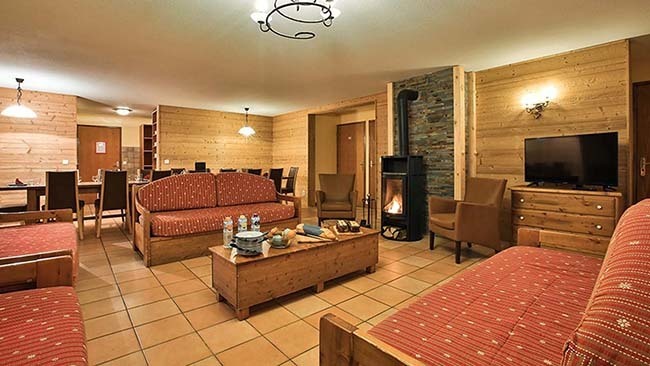 This style has been used in both the comfortable, open-plan living and dining area as well as throughout the bedrooms. 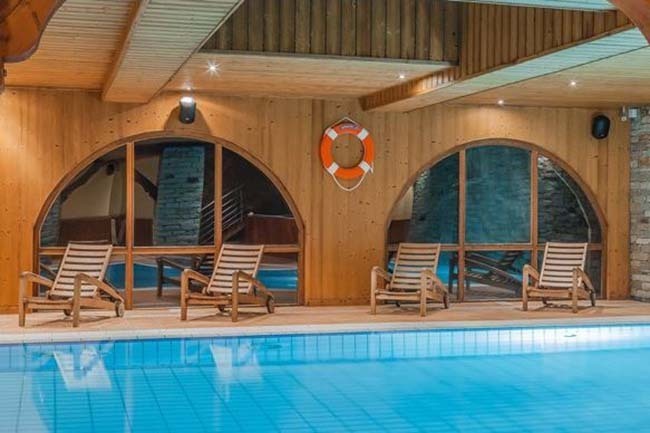 Being part of a complex means guests can enjoy the use of the fitness centre, sauna and massage facilities (all payable locally, open 16.00hrs to 20.00hrs) with free access to the pool (reservation required). 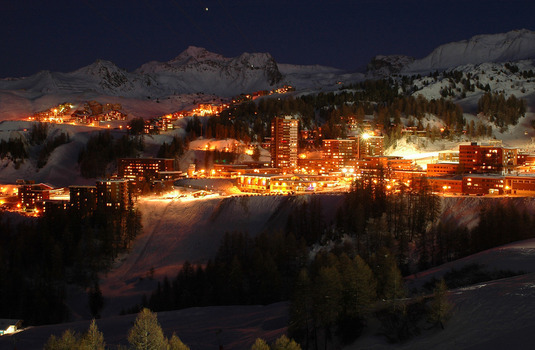 There is also a bar and ski hire shop within the complex and other night spots and restaurants are within easy walking distance. 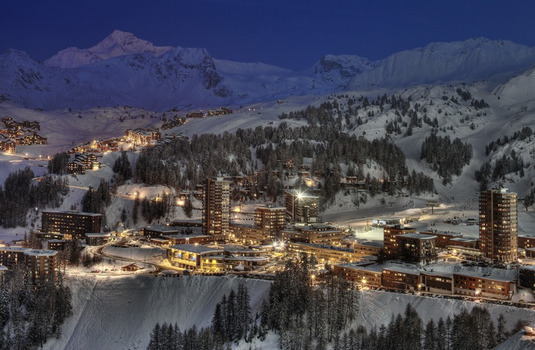 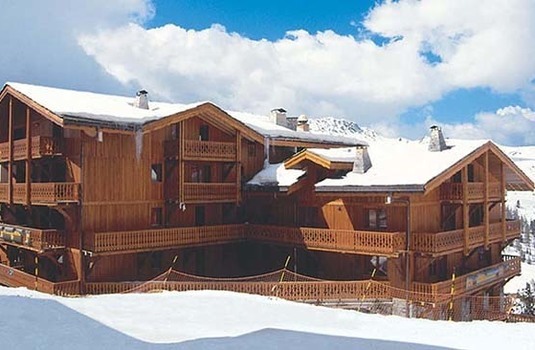 Chalet Clarine in La Plagne is in an exquisite location with true ski in/out. 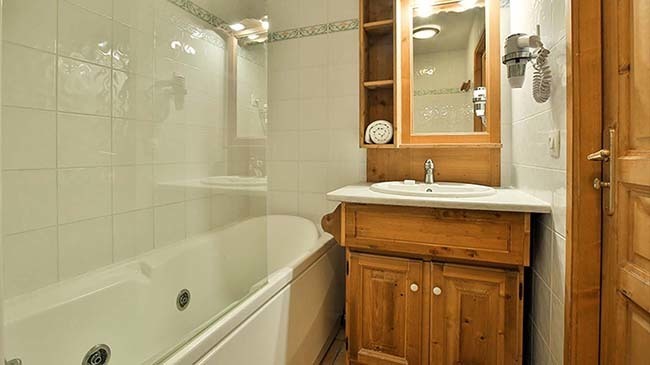 The bedrooms are simply furnished but comfortable with a good bathroom and the luxury of a jacuzzi bath. 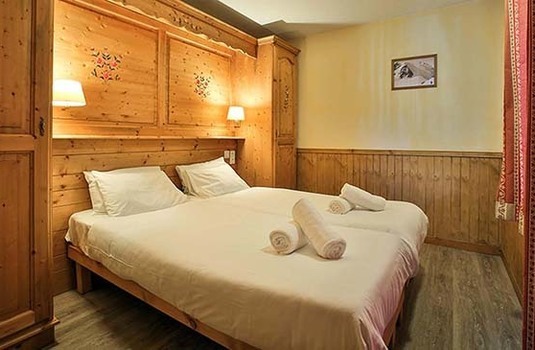 The beds are comfy and the lounge area is good but would struggle to seat all 18 guests.